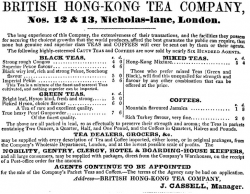 Hugh Farmer: Does anyone know if this London company had any connection to Hong Kong apart from in its name? 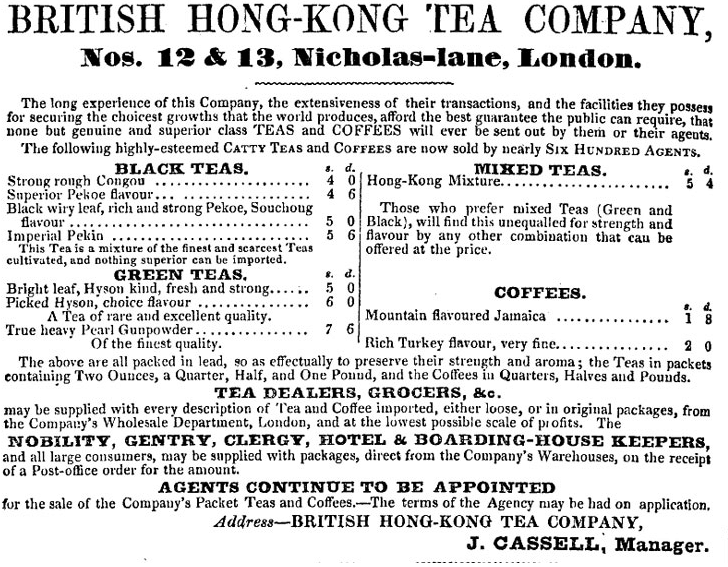 This advert is from 1847 courtesy of the superb British website www.gracesguide.co.uk. I don’t know where it was originally published. 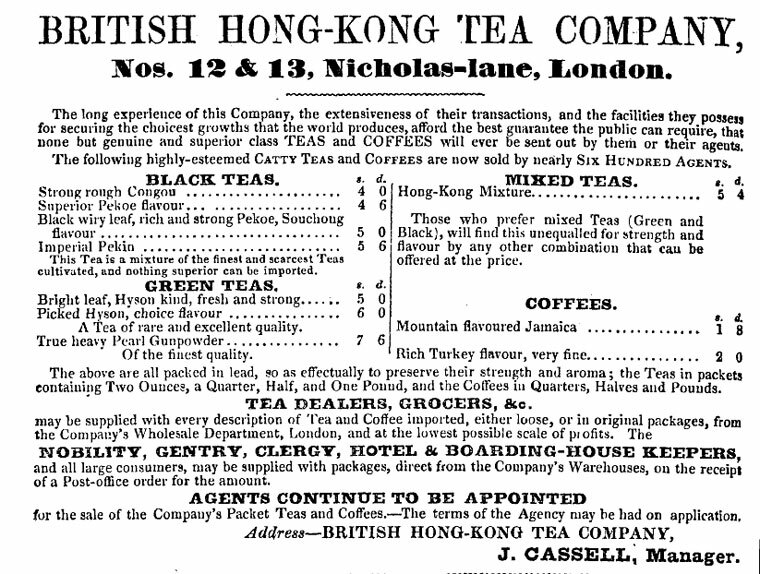 Note that “Nobility, Gentry, Clergy, Hotel & Boarding House Keepers …may be supplied with packages”. That leaves most of us out then. This article was first posted on 1st March 2014. Note that as well as Nicholas Lane, they’re also listed as “Little Tower-street, London” and “Nos. 14 and 15, Budge Row, Cannon Street, London”. …and I couldn’t find anything else connecting him to Hong Kong on Google, either. Hardly definitive, but if I had to guess, he’s likely just using the name of somewhere foreign and exotic-sounding to drum up business.